The two-tone combination of granites is aesthetically unique on our football memorial plaques. First of all, select your own football club. 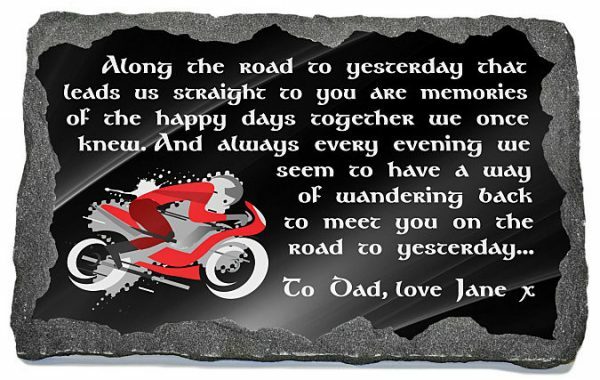 Then upload a photograph and signature of your loved one. Consequently, if your football team is not shown then upload your own club’s crest. Furthermore, include a photo and signature. Finally, add your contact details and make your purchase. 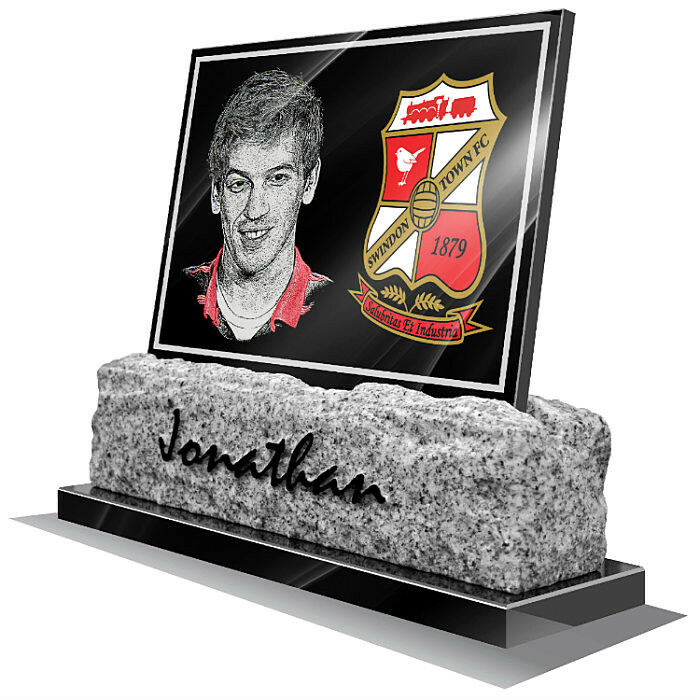 A proof of your memorial plaque will then be sent to you for approval. 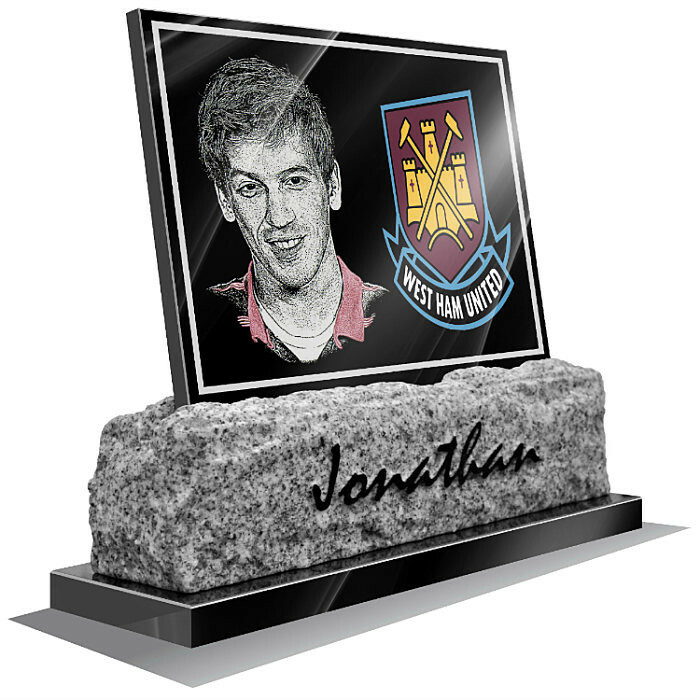 Our football memorial plaques show an etched crest and photo of your loved one. The club crest is hand painted in color. The portrait is etched and partially colored. A signature of the deceased is also embossed on the rustic section. The rustic section is made from rough cut Wicklow granite. The three sections combine together as one to make an exclusive memorial gift. Our football memorial plaques sit uprightly while in position. In conclusion, the top section is slightly tilted which enhance the main features of the plaque. The plaque is well-built and has a lifetime guarantee. Delivery to Ireland and UK is seven working days. The USA and other countries have a delivery time of ten working days. First of all, select your football club from our gallery above. Consequently, if your team is not shown upload your own club crest. 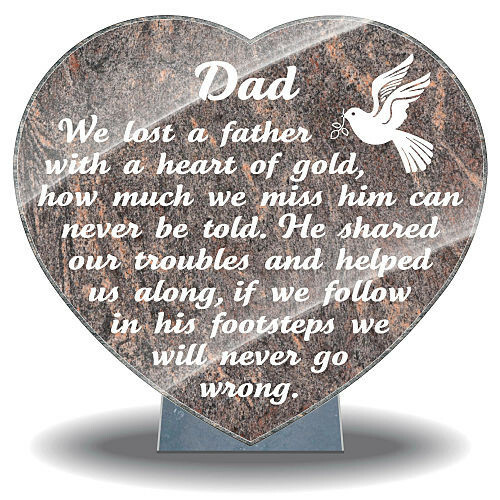 Also, include a good quality photo of your loved one. In addition, add the persons personal signature. The signature is embossed in black on the rustic Wicklow granite. 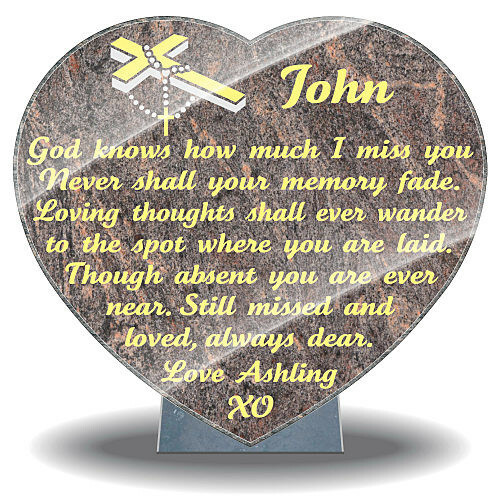 Our memorial plaques are 14″ x 12″ x 4″. Each section is firmly fixed together for safety. After you upload your photo, club crest and signature continue to the checkout page. Finally, add your contact details and make your purchase. A proof of your new football memorial plaque will be sent to you for approval. Above all contact us regarding how to personalize or order your football memorial plaque.